Welcome To Your Senses: Ice Thanni ! I used to be the "Go-Getter" for Ice cubes from next home, when I was a kid. Next house was a panakkara house, who had a computer in the late 80's. One packet of Rasna, and water and sugar. I can make my own heavens. It was a lovely way of evading the summer. Now things have changed. Summer is no more the summer it was. It has grown with my salary. Fridge and Air-conditioners are now affordable to many. Last year's Air Con sales will easily explain that. Yet, summer becomes unbearable. So, the next best thing we can do is go to Ooty or Shimla or Switzerland, whichever is possible. :) Sounds good, but awkwardly impossible. 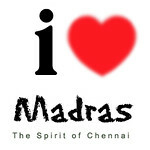 Now everyone in Chennai, expects this Summer '06 with a tint of scare. The signs are showing up already, in the sultry climate after noon. We, at home, have cleared the fridge shelves, and made room for water-cans. So, there's always this "Midhamaana" water at a cool (not so cool) temperature.. someone said, "Water is the Elixir of Life" (think it is Emerson).. How true ! Thanni thotti thedi vandha kannukutti naama ellam. actually me thinks the temperature is there but the humdity is much less compared to prev yrs. Ya, ice thanni and the fight about who finished the filled bottle(and kept the empty bottle in the fridge!) and whose turn it is it fill and keep!! You know, here in restaurants these days, when they see us desis, they themselves volunteer, 'just water, without ice?'!! Iris, not just fired. imagine standing on a useless signal on a may afternoon. Thou shalt be barbecued. pk, probably yes. Dats why its getting sultry already. krithika, poruththirundhu paarungal ! BTW, ippdi poi paritchai ezhudhinaathaan, we can tell the next generation... "Naangallam padikkarachche.. " and so on dialogues. aparna, aamam pa ! adhu periya sandai. enga veetleyum bottle prachchanai undu !